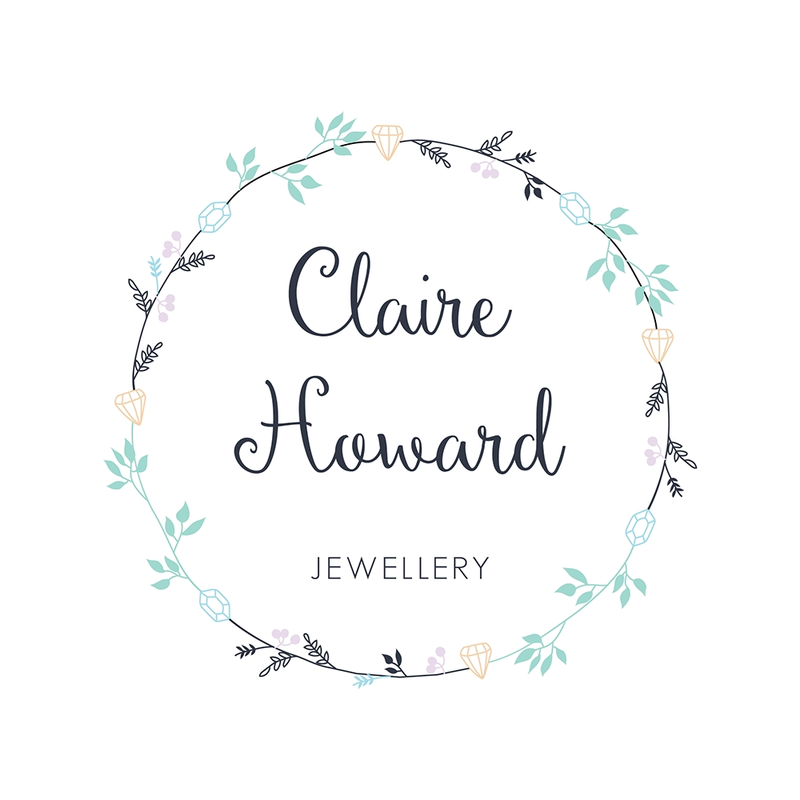 Hi Claire, tell us about your handmade jewellery business and how it all started! I started off by doing lots of beading with my sister whilst we were both on maternity leave. My husband then had a big birthday and I wanted to get him some cufflinks, a local jeweller (who I had made several purchases from!) made me the offer of a lifetime and said he would teach me to make them and then it just sprang from there. He taught me so much about jewellery, about what I liked and what I was capable of. 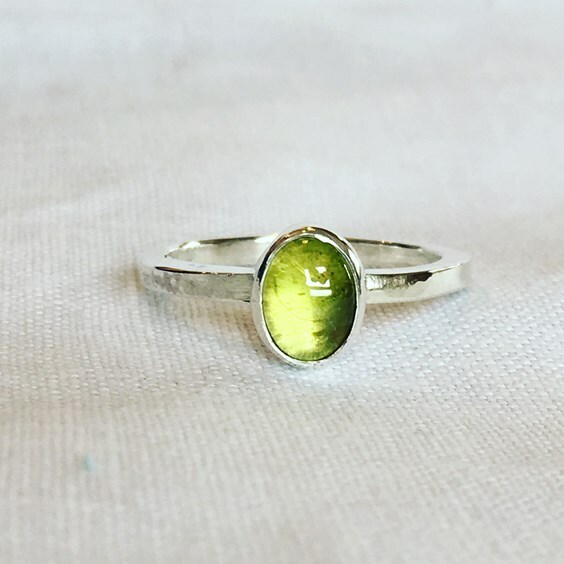 I have done some courses at the London Jewellery School but I still go back to Richard and he teaches me how to make something new. I’m still very governed by making what I like but I am learning to make other styles and designs which I wouldn’t necessarily wear but still can put my heart in to! In the last year I have started running workshop evenings which have been a success for me, not only in that I get to spend time with a varied and fun group of people but I miss teaching dreadfully and this plugs that gap. Turquoise is my absolute favourite. It has always been my favourite colour and I adore how the stone can range from a pale powder blue through to a sky blue but also a blue green, those colours remind me of the sky and the sea, and Norfolk has a lot of big skies and sea. Turquoise is the stone of friendship and is supposed to bring peace to the home, those are two things that are really important to me. In jewellery making, I think there is nothing like the mixture of silver and turquoise. 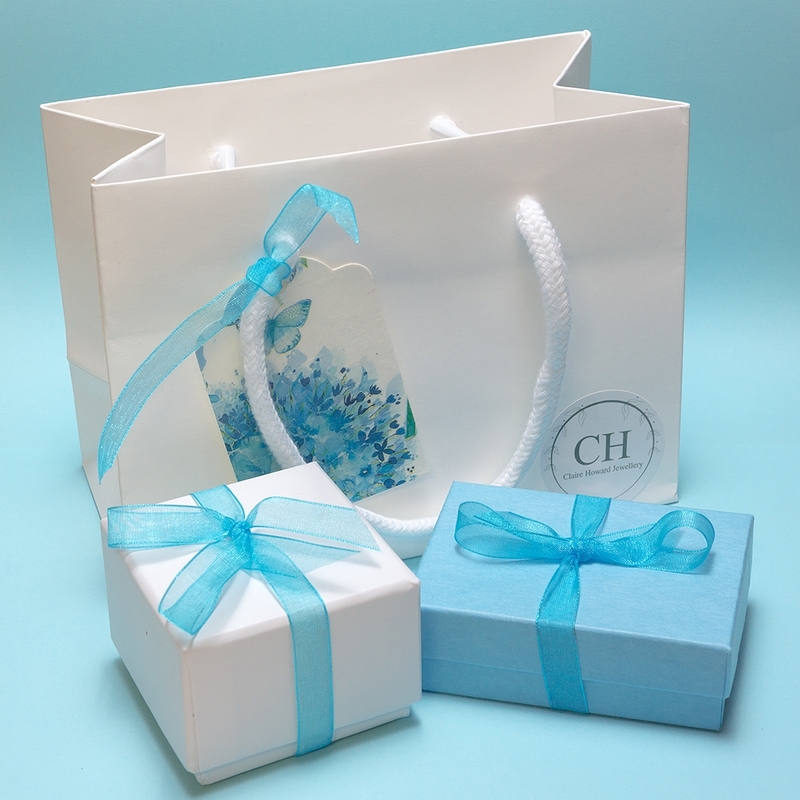 We love your branding of your logo and handmade packaging – how did you perfect these? I am really proud of my logo and my packaging, but they couldn’t have been done without help. My logo is the work of a past pupil of mine. She has been wonderful at listening to what I thought I wanted and looking at my jewellery and creating this wonderfully floral and delicate logo with hints of gemstones hidden amongst the flowers! It’s been the help of my best friend who has branded everything else, making my website and shop all reflect that logo. I am absolutely thrilled with the results! I also have a friend who decoupages the labels for my gift bags! 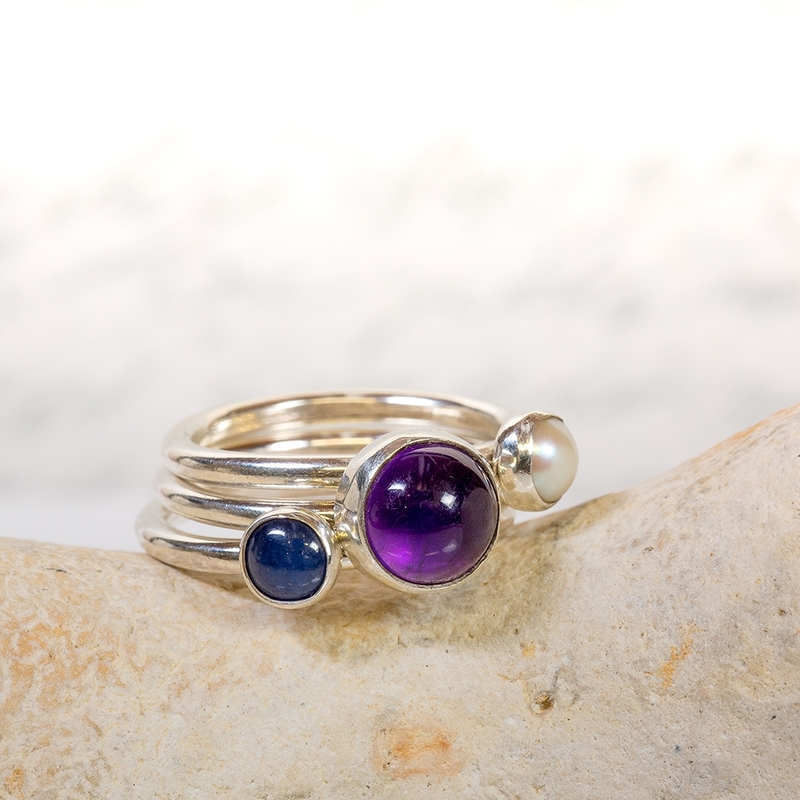 Have you learned anything about yourself since making jewellery? I’ve learned a huge amount about myself, I’m quite a reflective person. Two years ago I left teaching a full time class of 32 Year 2 and 3 children to do the school run for my son and the shock of going from a busy classroom to not talking to anyone but the dog and the postman all day, took some getting used to. My friend has been my sanity as we always meet on a Friday for coffee and cake. I have learned that if I persevere at something I really can do it, I have learned to walk away if the stone refuses to be set, I have learned to polish as you go along so you don’t end up with a huge pile of polishing and a mucky forehead! What is one jewellery making technique you’d like to master and why? There are so many things I want to be able to do, granulation is top of my ‘to master’ list at the moment. Tell us about your workshop and how you make it your own. My workshop is a converted dairy cowshed on the end of our house. My husband has worked so hard on making it mine, from building my bench to drilling holes, to painting and plumbing, fixing my polishing machine. So really the only thing I did was turn on Radio 2, a fan heater – it gets very cold and make a lot of bunting! In your experience, what has been the best way to market your jewellery and get yourself out there?! Instagram has been amazing for me! 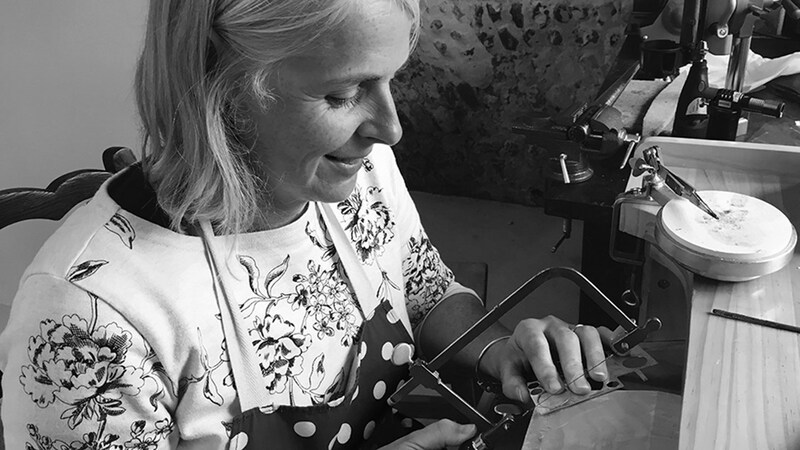 For me it’s so much more than just a platform to show my jewellery, it’s an opportunity to show pieces of jewellery I have loved making, a place to show how much I love other people’s products and I could while away hours just having a mooch and a giggle! I love being able to snap a piece of jewellery or a moment at a workshop evening and write something straight from the happy excitement of just finishing something special. 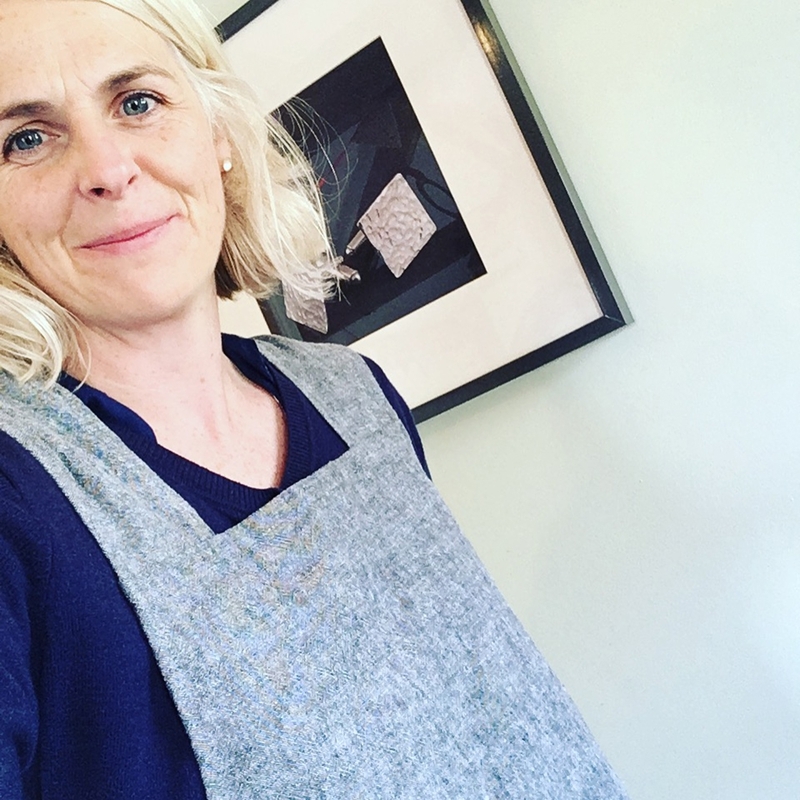 I feel so lucky to be part of such a community on Instagram, I’ve made some wonderful friends both with local people and with people across the other side of the world whose designs I adore and who as people are really interesting and supportive. There are 3 people I follow who are my favourites, one gives me inspiration from the Norfolk countryside, one challenges my making - we are working collaboratively and she has opened my eyes to colour and one is just learning lapidary and makes me really think how the stone I am holding has made its journey to me. 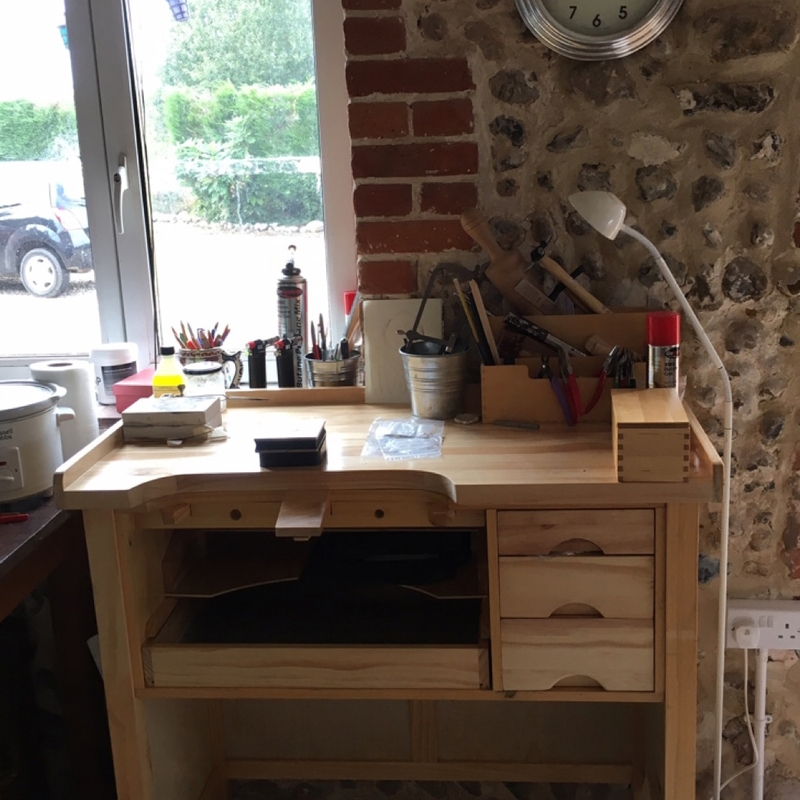 For workshop inspiration and tips on setting up your workbench and jewellery studio, read our advice post here. 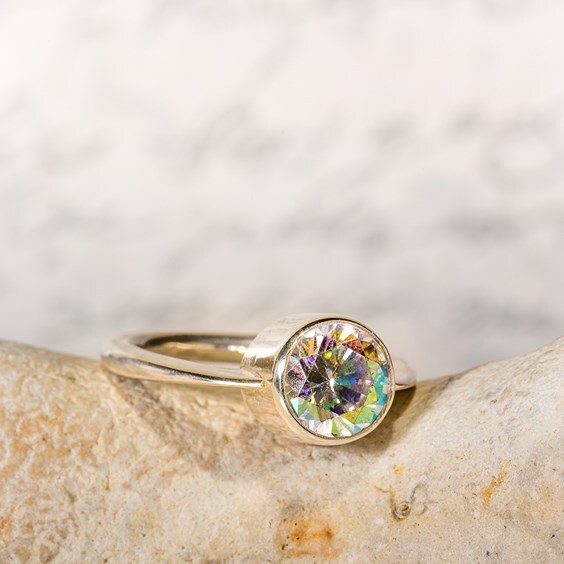 My favourite design would have to be the first faceted stone I set which was a rainbow glow cubic zirconia which I bought from Kernowcraft. I was just blown away by the tiny little shards of rainbow colours and the light coming from the bottom. 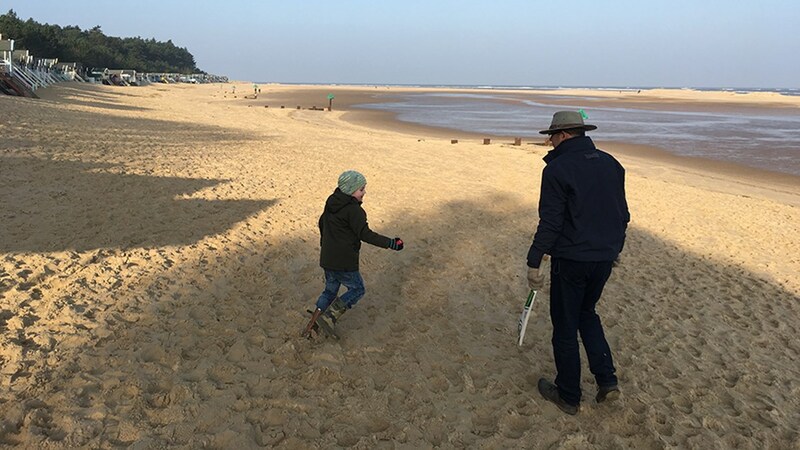 Sunday afternoons are perfect for walks on the beach at Wells or around Holkham Hall grounds with my husband, son and bonkers cocker spaniel. There’s always an opportunity for a warm cuppa and slab of cake too! 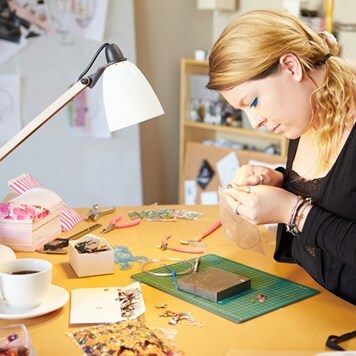 Do you have any tips for jewellery making beginners, wanting to attend their first craft event? The biggest piece of advice I would give is to look carefully at your pricing – such a tricky thing to do…. Always be positive and talk to everyone, get tips from other stall holders and start to build your own community. Don’t be downhearted if you don’t sell very much at your first fair, it may be for a myriad of reasons, but it is not usually because your jewellery is not good enough. Celebrate whatever successes you have with a drink, be it hot chocolate or prosecco! What is one design you’re really proud of and why? 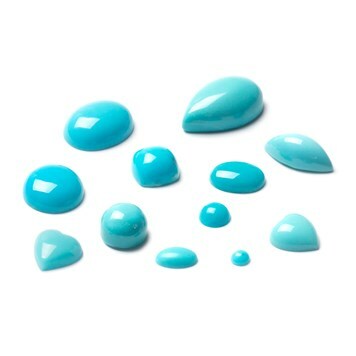 I absolutely love to set gemstones. I didn’t try it until recently but I get such pleasure out of sliding that little gemstone in to a snug bezel and seeing the stone set off against the silver. My favourite would have to be the first faceted stone I set which was a rainbow glow cubic zirconia which I bought from Kernowcraft. I was just blown away by the tiny little shards of rainbow colours and the light coming from the bottom. It was a magical moment and I felt such pride that I had been able to make it. 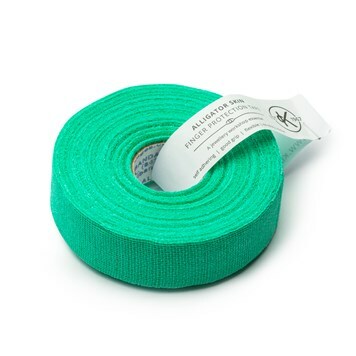 Alligator tape would be my first product to recommend, it really is kind to your fingers although I can never put it on without getting completely tangled up! Consequently I use a lot of it. 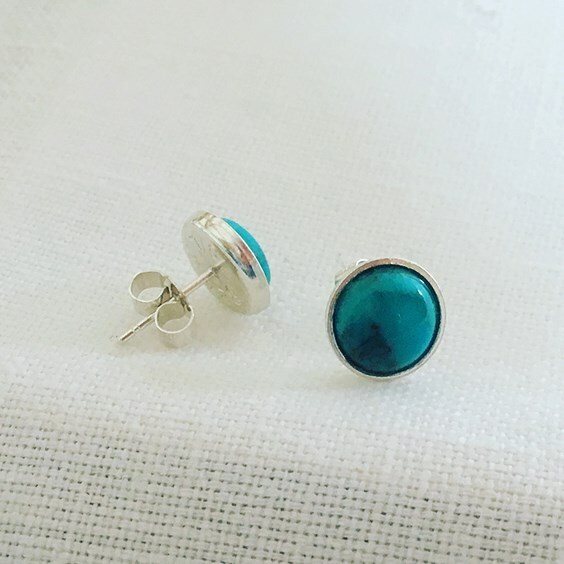 I love Kernowcraft’s turquoise cabochons, there’s such a variety and always something new to look after and dream about setting, I also love the richness of the blue of their lapis lazuli and the clear green of their peridot. Lastly it’s not a product, but their blog is brilliant. I love the Meet the Jeweller (I was thrilled to be asked! ), their post on photography had so many useful ideas in it and I often go back to it.